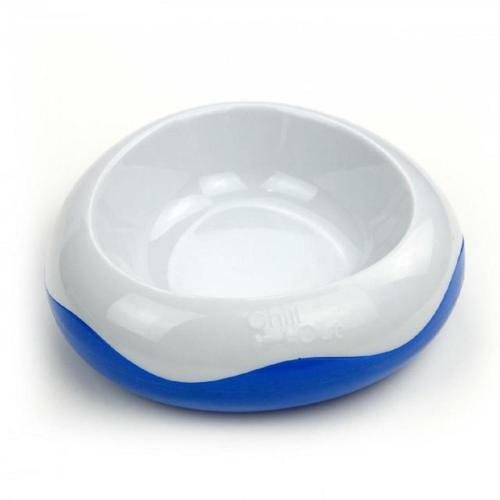 The All For Paws Chill Out Cooler Bowl is a great bowl for those blistering summer days. Simply soak the Cooler Bowl in water and once the water has been absorbed, place in the freezer. Once frozen, the All For Paws Chill Out Cooler Bowl will allow for hours of cool eating and drinking. The cool gel inside the plastic maintains the ice for longer, keeping the food or water cool and fresh for when our dog needs it. Safe and non toxic, the All For Paws Chill Out Cooler Bowl a brilliant way to keep your dog, as well as their food, nice and cool on those hot summer days.